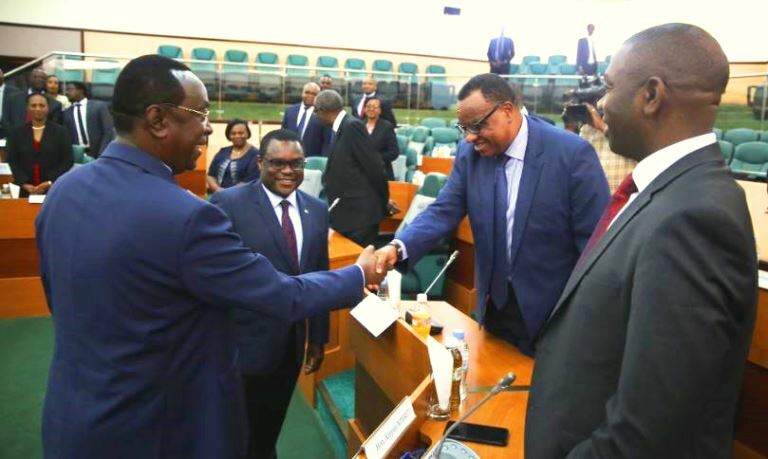 Rwanda and Kenya senates signed a memorandum of understanding on Thursday following the visit by Ken Lusaka- the Senate Speaker, Republic of Kenya. According to Rwanda’s senate President Bernard Makuza, the MoU is a commitment to the important role they must play as legislators in complementarity with their governments to enhance bilateral relations. In expression to the commitment of deepening this relationship, Lusaka told the Rwandan senate that there is no better time than now to explore opportunities for inter-parliamentary cooperation between our parliaments. He said that lawmakers are now stepping out of their legislative chambers to speak directly with international counterparts. Commenting on the MOU, the Kenyan senate president said it was an indication of the future aspirations that they, as leaders hold for their institutions. “The MoU recognises the value of sharing experiences, it recognises the importance of promoting the exchange of information and ideas in common areas of interests, developing initiatives for the strengthening of the capacities of parliamentary staff,…” he said. Before the afternoon session at Rwanda’s senate, the Kenyan delegation first took a guided tour at the Kigali Genocide Memorial to pay tribute to the victims of 1994 genocide against Tutsi. RT. Hon Lusaka observed that what he saw is extremely sad and should never happen anywhere on the face of this planet. Perplexed by the events in Rwanda before, during and after the genocide, Lusaka noted that the history is a great lesson to humanity. He condemned the schemers and those who watched when the genocide was being implemented. “We must never allow this to happen anywhere on the face of this planet. No one should ever die in such circumstances,” he said.